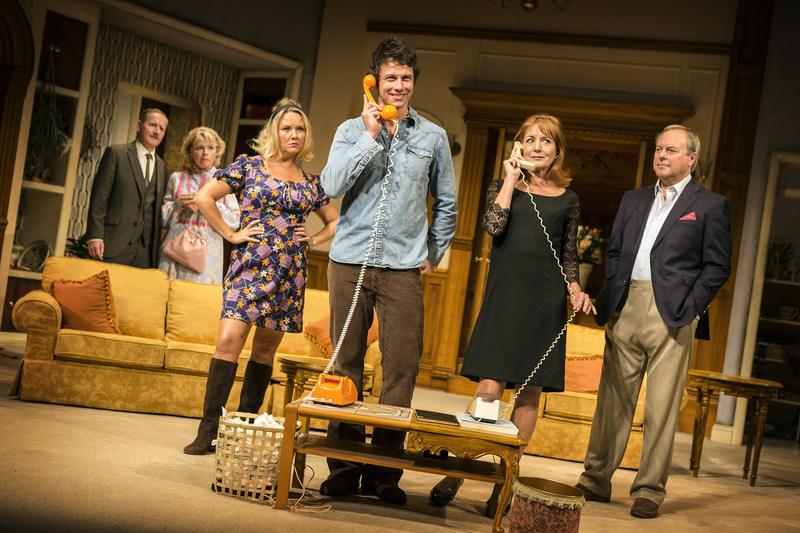 Last night, Neva and I attended the opening night of Alan Ayckbourn’s How The Other Half Loves, and Norwich Theatre Royal was packed! After watching the play I can certainly see why, it was hilarious and certainly one not to miss. 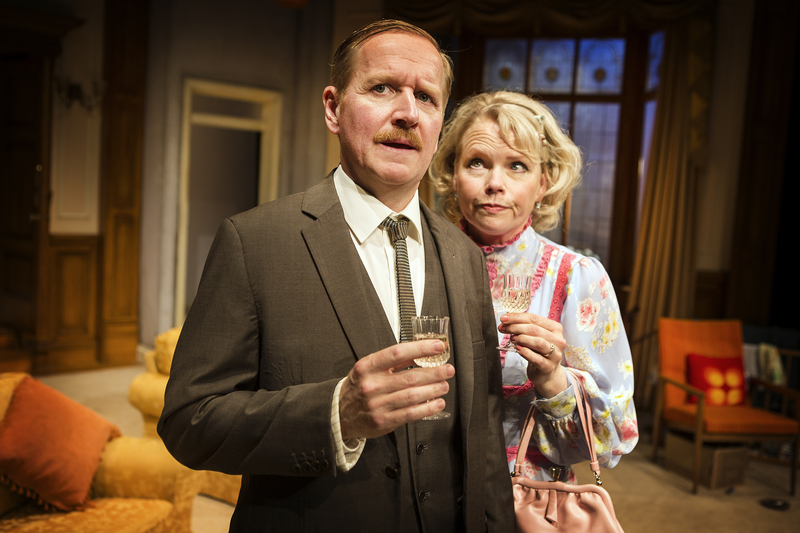 Following its critically acclaimed West End revival at the Haymarket, Alan Ayckbourn’s hilarious tale of matrimonial mishaps and London’s funniest comedy of 2016 embarks on a national tour. The story focuses on three couples, the Fosters, the Phillips and the Featherstones, all intertwined as the three husbands are work colleagues, but even more of a tangled web ensues as Fiona Foster is having a love affair with Bob Phillips, but to hide their adulterous ways, they concoct a lie that involves the Featherstones, both of which are completely unaware of what they are getting involved with and how it could ultimately end in disaster! 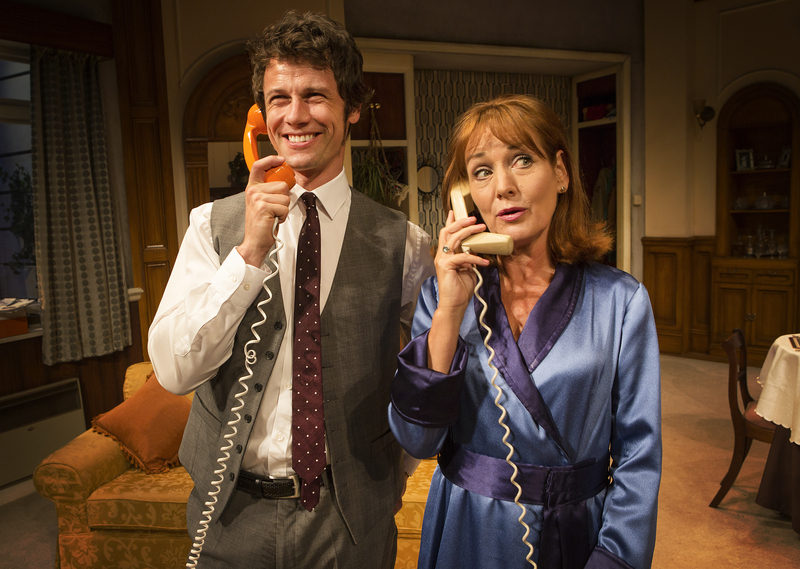 The original showing of How The Other Half Loves was performed in 1969, and it was the perfect era for the play, it was nice to see that the entire set and costumes were kept within this time, including the dial up telephone and long telephone leads. If they had tried to modernise it, the effect would not have been the same. All six characters were hilarious, our particular favourite was Mary Featherstone played by Sara Crowe. she was extremely funny and her facial expressions had me in stitches. Robert Daws played the bumbling Mr Foster impeccably and although he was completely stupid, you couldn’t help but like him, you also felt extremely sorry for Teresa Phillips (Charlie Brooks), not only was she struggling with motherhood, and feeling trapped at home, but she was having to put up with her cheating husband, which she did beautifully. 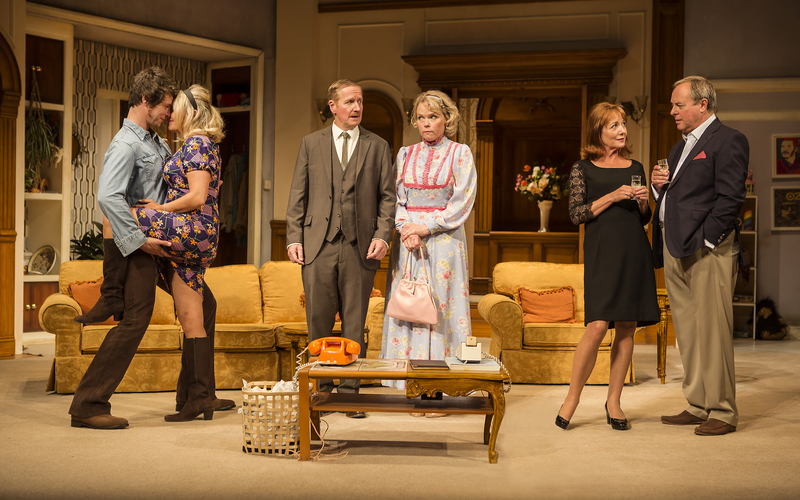 The dinner party scene is something of a wonder to behold, two dinner parties, two separate nights, both taking place at the same time, nowhere else but on the stage could this work so spectacularly. Definitely not one to miss, although you will have to be quick as tickets are selling very quickly. The show is performing Monday 27th November – Saturday 2nd December, evening performances take place at 19.30pm, there are matinees taking place on Wednesday 29th November and Saturday 2nd December at 14.30pm.